Large-scale hydroelectric development in Yunnan has left in its wake a slew of impoverished communities that are struggling to survive — not the bright renewable energy future promised by the Chinese government. At the entrance to Jiuan Cun in China’s rural Yunnan Province, a billboard towers over the newly-constructed homes of people who were resettled there in 2010 for the construction of several hydroelectric dams. It reads, “The government cares for relocated people, committed to relocation policy.” But the community has since grown skeptical. For them, the sign represents promises that were never fulfilled by the Chinese government. At first glance, the houses in this community appear new and inviting. But, according to the locals, government officials never told them about their right to participate in the decision-making process during the construction of the dams or the legal responsibility of the government and the hydroelectric company to provide 20 years of living compensation post relocation. The government did, however, promise many things before the community moved, including a resettlement payment of over $8,000. It is now several years later and the people still have not received any compensation. To make matters worse, they are finding it more difficult to make money and obtain enough to eat, having only a fraction of their previous land and no place to raise animals or go foraging for wild edibles. So far, large-scale hydroelectric development in Yunnan has left in its wake a slew of impoverished communities that are struggling to survive, as well as maintain their traditional livelihoods. For the Chinese government, these projects are a part of the growing legacy of “renewable energy” hydro projects designed to reduce carbon emissions and fight climate change. For relocatees, these so-called green dams are destroying their homelands, making the promise of renewable energy akin to a death sentence. Each family had a salary over $6,500 per year before the forced relocation. Now each person gets one-tenth of that, and they remain uncertain how long the government will continue paying. This is just one of many promises that the government has not yet fulfilled. Officials also committed to building a new school in Jiuan Cun for relocated children, but the money for the school soon disappeared. Community members say it was corruption. Since relocation, dozens of children have also been killed by cars while walking along the busy road to get to school in the neighboring town. Other people have died as well, from sickness that swept through the community, which some people say is the result of the town’s murky, brown water reservoir. Jiuan Cun is home to five communities displaced by hydroelectric development along the Yangtze River. Yet no one here seems to have been willing to move. Instead, they say the police came in the middle of the night and threatened everyone with arrest if they did not leave. Many of elders were crying as they were forced to pack up and get out. Based on conversations with many families, there are few, if any, benefits to living in the new community. From land, to water, to public services, the message is clear: There are many problems that have yet to be addressed. Meanwhile, the official report says that people in Jiuan Cun are happier because they do not have to live high in the mountains. But the locals say the mountains were their home and also provided avenues for making a living, such as raising goats and hunting for wild mushrooms and herbs. Now the surrounding hills are owned by the local township and are off-limits to the people of Jiuan Cun. Their personal land has decreased substantially in size as well. Before relocation, families owned at least half an acre of land. Now, each family has less than a tenth of that, and the quality of the soil is not good enough to plant what they had been growing at their old homes. These were families that had been earning higher salaries in recent years, and were beginning to enter China’s growing middle class. The situation in Jiuan Cun is increasingly common throughout Yunnan province. The central government’s Develop the West program has highlighted Yunnan’s water resources as a primary objective of development, and plans have long been underway to exploit them to their fullest extent despite devastating environmental and social consequences. The philosophy of Develop the West is to alleviate the growing poverty gap between the cities on the East Coast and the rural West. 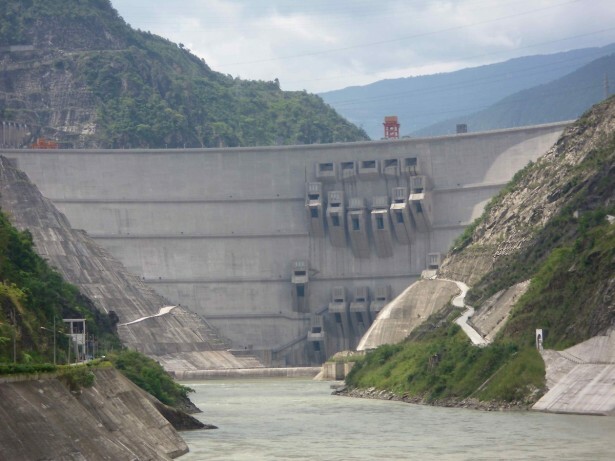 Over 30 large-scale hydroelectric facilities are either under construction or already operating along Yunnan’s three major rivers: the Nu, Mekong and Yangtze. While ranging in their environmental and social impacts based on the local communities and ecosystems, each dam floods, on average, hundreds of miles of river and can displace between a few hundred and tens of thousands of people. Government officials have generally touted the projects as generating renewable energy and alleviating poverty, but in the towns facing relocation, people are seeing quite the opposite. Less than a hundred miles away on the Yangtze River, the town of Jinjiang has been the poster child for community resistance to large-scale hydroelectric development. Activists here have held education campaigns, public forums and direct actions against the Tiger Leaping Gorge Hydropower facility, which would have flooded their homes. In a 2004 speech in Beijing, one member of the community, Ge Quanxiao, explained that people living in Jinjiang already had an ideal life. The issue of hydroelectric development is also one of ethnic relations. In Jinjiang, eight ethnic minorities live side-by-side, and in this part of Yunnan nationally-recognized ethnic minorities are local majorities. In a 2008 analysis of the projected Nu River Hydroelectric Project, researchers found that ethnic minorities constitute 92 percent of the population in the project’s affected area. Compared with the country as a whole, Yunnan and the affected area of the Nu River project have a disproportionately large ethnic minority population — almost ten times the national average. This means that while the burden of hydroelectric development falls on ethnic minorities in the Nu Prefecture, the electrical and financial benefits are ultimately going to the cities on the eastern coastline with Han majorities. These issues were present in the minds of some local organizers and in the spring of 2007, after many months of clashes with company surveyors and government officials, 10,000 people filled the streets of Jinjiang to protest the construction of the Tiger Leaping Gorge Dam. They came with hoes, shovels and rakes to the front of the government building and barricaded the doors until they got a meeting to express their demands. 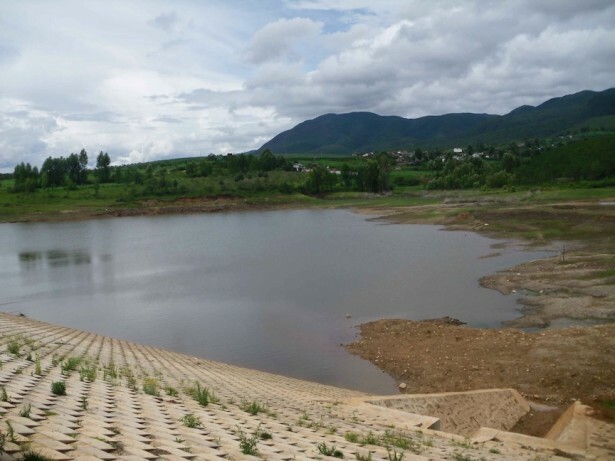 Within a few days, the provincial government ceased surveying and site preparation, saying that if the majority of the people do not agree to construction, then the dam will not be built. For a few years, it appeared that the officials in Beijing were actually listening to the voices of anti-dam activists and displaced communities. A few policies changed and Hu Jintao — the former premier of China — declared a moratorium on hydropower plants along the Nu River in Yunnan. At the beginning of 2013, however, the new administration in Beijing lifted the moratorium and dam construction continued anew. Today, the resistance in communities along the three rivers is a combination of local grassroots activism with national advocacy. In Jiuan Cun, after police forcibly removed people from their previous homes two years ago, community members blockaded the local government office to demand what they had been promised. They stayed day and night until police officers forced them to leave at gunpoint, yet again. 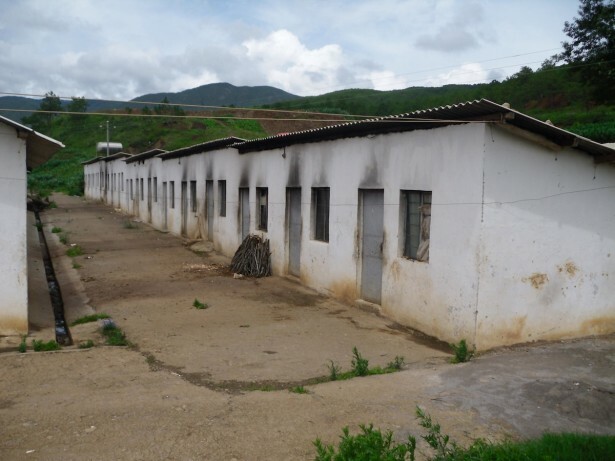 The people of Xiao Shaba — another relocated town along the Nu River — similarly conduct protests almost every year to demand the compensation they are still waiting to receive. These protests have met various roadblocks, including multiple levels of corruption and non-cooperative government officials that send them into layers of red tape. Over these past 10 years of direct action, Green Watershed — a Yunnan-based environmental NGO — has provided educational and logistical support for community activists. From leading teach-ins about farmers’ rights to organizing field trips for people to see displaced communities, Green Watershed has worked tirelessly to place the voices of affected peoples at the forefront of the dialogue on hydroelectric development. Unfortunately, the provincial government has prevented the organization’s director, Yu Xiaogang, from visiting any dam sites in recent years. As such, Green Watershed is now supporting local activists by focusing on the money that is funding the dams, which is coming from large Chinese banks. Within just a few years, Green Watershed has quickly become one of the major environmental and social watchdogs in the Chinese financial sector. Their work now challenges banks to stop funding projects that do not incorporate environmental and social impact assessments — in particular, the dams on the three rivers in Yunnan.